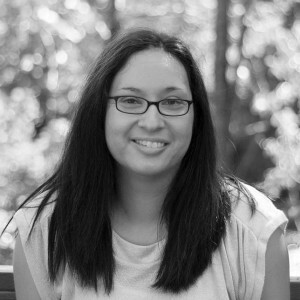 For our first ever interview with a freelance writer, we are very excited to welcome Elna Cain. 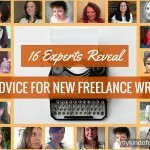 She previously featured in our post 16 Experts Reveal Top Advice For New Freelance Writers, where she offered newbie freelance writers some fantastic advice. 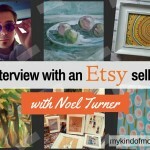 Find out more about her freelance journey and her brand new course for bloggers and new writers. Q. Tell us a bit about yourself and what you do. A. My name is Elna Cain. I’m a freelance writer and a mom to twin toddlers. I’ve been freelancing for a little over a year now and have been able to support my family while only working part-time hours. I mostly write about digital marketing – my favorite topic – and I’ve recently landed some copywriting projects that I’m excited to work on. I also provide ghostwriting to some influencers online. Earlier this year I teamed up with Alicia Rades to start a new freelancing site, FreelancerFAQs. I’m hoping it will be one of the go-to places new freelance writers visit. Q. How did you first get involved in freelance writing and coaching, and at what point did this turn into a full-time operation? A. I actually just stumbled into freelance writing. I was a stay-at-home mom, raising my little twins and my maternity leave was winding to a close. I knew I didn’t want to leave the care of my children to someone else. Plus, the cost to put them in daycare would have been more than my paycheck. So, leaving the house to work just didn’t seem like a viable option. Since my husband is an entrepreneur and woks from home, he was the one to introduce me to the idea of working online. I started reading mommy blogs and learned quickly that many of these moms were freelance writing. 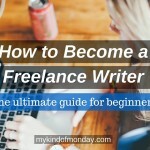 From there, I learned everything I needed in order to become a freelance writer. Almost a year later, I started coaching new writers because I wanted to help others not make the same mistakes I did. I’m still working part-time hours since I’m taking care of my twins during the day. I work every day, though, but I have the freedom to take the afternoons off and have the luxury to spend time with my children before they head off to school. I suspect once they are in school, I will dedicate more hours to my business. Q. What is your favorite thing about writing or freelancing in general? A. 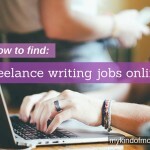 For me, the best thing about freelance writing is the enormous opportunity there is online. Because of my freelance writing business, I was able to start my coaching business. Now, with my new course for bloggers and new writers, I have the ability to diversify my income and not worry if I lose a client. Q. What is the most difficult task you regularly deal with? A. The most difficult thing I have to deal with is time. There simply isn’t enough hours in the day for me to work and spend quality time with my children as well as take care of house duties. Being a work-at-home mom is a challenge, but it isn’t impossible. I outsource tasks that either take up too much time or I don’t know how to do. This frees up time for me to focus on marketing my services or promoting my content. Q. How do you think freelancing has changed your life the most? A. Freelance writing has definitely changed me. In the beginning I had a strong desire to be successful – I still do. But, this meant spending less time with my family and more time on my business… and it showed. My children started to get needy and even though my husband worked from home, we could go all day and not say a word because we were both busy. I had to stop and really think about why I wanted to freelance in the first place – to be able to stay at home and raise my children. Now, we make it a point to regularly spend time as a family. I also try to have a date night with my husband and a friend night with my good friend Lorraine Reguly on a regular basis. Q. Do you have any tips for how to achieve a work/life balance as a freelancer? A. It’s something that you have to work on daily. There will be days where you focus too much on your business, but you just have to balance that by spending quality time with your family. Even though I work every day, the weekends are much slower than my weekdays. Clients don’t typically email me on the weekend so I can work on my own blog posts or guests posts I have lined up. I think soon I’ll be able to consistently devote one day a week to solely focus on my family and social life. I can’t at the moment, but I can look forward to that down the road. Q. You offer great advice for freelance writers on your blog – how does your blog fit into your business? A. When I first put up my writer website, I had a blog on it. I decided to write about freelance writing, blogging and being a WAHM. But, once I launched my other site, Elna Cain, I felt my blog would be a better fit over there. Since I offer coaching and a course for new freelance writers, my blog just made better sense on Elna Cain than it did on my writer website. 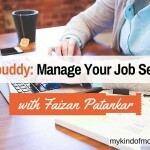 I’ve fine-tuned my blog to focus mostly on new freelance writers and my business. I occasionally write posts for bloggers and WAHM’s but it isn’t a focus. Since I want to help new writers, I want to provide content for them on my blog. Q. I know that you’ve been busy with your new course – can you tell us a bit more about it and how it can help freelancers? A. I’m super excited about my new course, Write Your Way to Your First $1k. 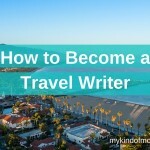 It’s a 7 week, self-paced course for bloggers and new writers. I provide the exact steps – and pitches ­– that took me from $0 to $1k in less than 2 months from freelance writing part-time. My story isn’t unusual and I know any new writer or blogger can achieve this and more. My course not only teaches you how to develop a killer pitch, but it helps you build a solid foundation to help you attract profitable clients. There are seven modules, 41 lessons, templates, email swipe copy and a free pitching guide. There is also a bonus module (that will more than double your income), case studies, a social media guide and a copywriting guide. Q. Finally – what are your goals for the upcoming year? A. I want to set a goal to sell at least 20 spots for my course by the New Year. I think it’s possible and I’m crossing my fingers my course will be a success! I also want to keep on pitching and getting my name out there. I’ve worked with many influencers online and I hope to continue on that path. I also want to land more copywriting projects as I’m finding I have a knack for conversion copywriting and I absolutely love it! 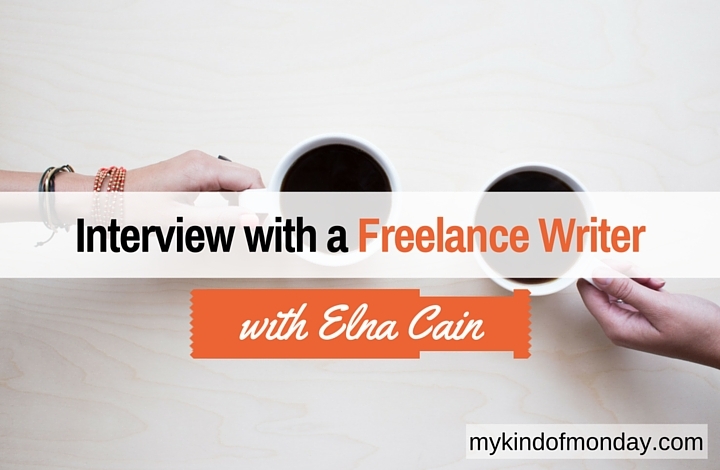 A big thank you to Elna Cain for participating in this our first interview with a freelance writer. We wish her all the best with her new course – be sure to check it out! Thanks for taking the time to interview me! I had a great time! Elna, I wish you all the success with your new course (will share it in a minute) but more importantly, I wish you soon to be able to spend not one but at least 3 days each week without work but only enjoying some quality time with your family! I agree, I hope Elna is able to spend even more time with her family soon. Finding a way to balance work and personal life as a freelancer can be challenging, but definitely not impossible! Thanks for sharing this post and stopping by! Yes, I am devoting more family time now. We’ve been getting snow here and the kids just love playing in it so I’ve had a few snow days this week. Weekends are also more relaxing since clients don’t typically email me and it’s a good time to focus on the house and kids (and my blog). I’m excited for the course (I already have 10 students enrolled) and I’ve been hearing great things from my participants that are just making me week!